Forgot User ID? Forgot password/locked out? 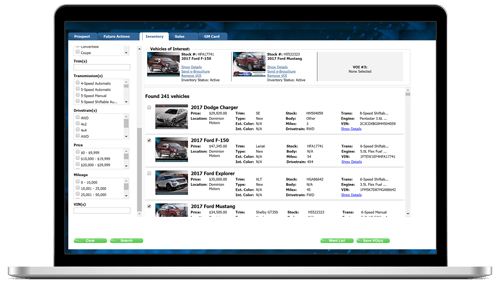 Dominion Web Control is a web-based automotive dealer CRM and lead management solution built to manage and market to both leads and prospects. Web Control pulls lead data from over 300 sources including your website, your OEM's website and third party websites. Dominion Web Control serves both the franchise and independent car dealerships and is certified by most manufacturers. Discover the 7 reasons you'll love using Web Control to track phone, floor and Internet prospects and customers. One of GM's most integrated CRMs, Web Control is Turnkey iMR and has been certified as a Premium CRM. Read why Molye Chevrolet enjoys Web Control's customizable features and its Enhanced Inventory capabilities. Today, your team needs more than just a lead manager. 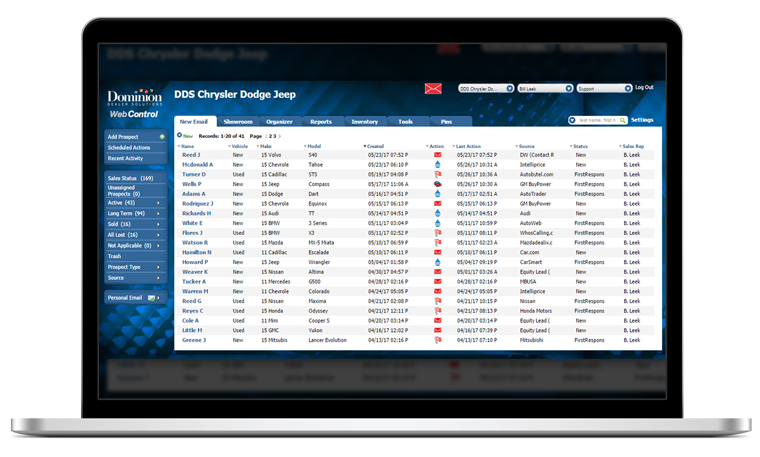 With web control automotive CRM, you can improve your team's efficiency and closing rates. Incoming leads are routed to the right salesperson every time - route by year, make, source, zip code and other qualification. See follow-up action items such as New Email, Meetings, Phone Calls, Email Received and Email Sent at a glance. Text from within Web Control – no need to use a phone and the product. Please enter your Alt. Email Address.